Charles Woodson is out at ESPN, says "I'll see you next season. Somewhere." It’s interesting to see ESPN again altering the Sunday NFL Countdown lineup, as they’ve done that repeatedly over the last few years. 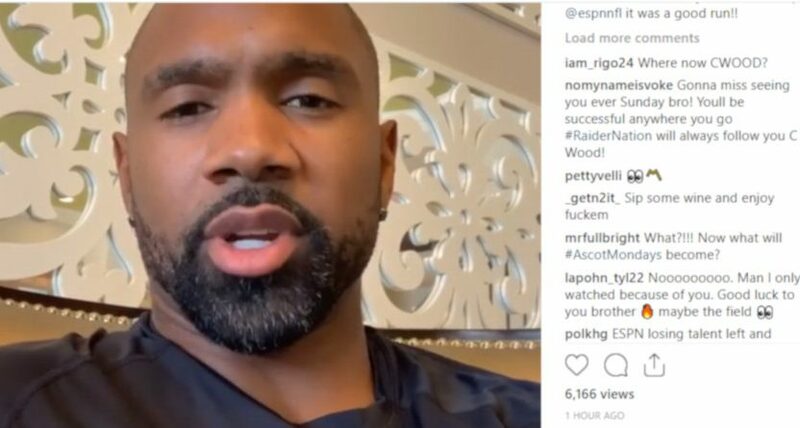 Woodson joined the show in 2016, as did Hasselbeck and Moss, with Ray Lewis, Keyshawn Johnson, Cris Carter, Mike Ditka, and Tom Jackson leaving. The next year saw Ponder replace Chris Berman as host. But the show has had some ratings struggles, and while it’s unclear how much (if any) of that is about the current personnel and how much is about declining NFL ratings in general and declining pre-game show ratings in general, there’s maybe some incentive for ESPN to shake things up a bit. We’ll see who they wind up tabbing to replace Woodson, and where Woodson winds up.